This post was published in September 2011, so the information in the post or about me in the sidebar may no longer be correct. 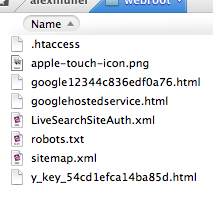 Why isn’t there a standard, similar to robots.txt, for verifying that you own a domain? 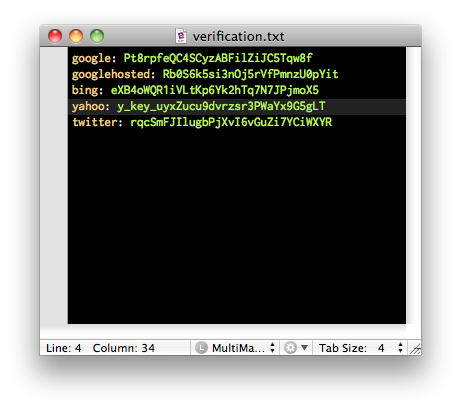 verification.txt? I can’t think of a reason each service needs more than a few alphanumeric characters for this.